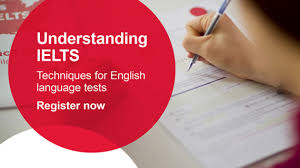 Learn more about the IELTS test. Hurry, the latest online IELTS course starts on October 2! But there will be others. This is a great online course for anyone who needs to take an IELTS test. It also gives useful tips and advice for all English language learners. The online IELTS course goes through each stage of the IELTS test and gives you tips to help you improve your score. There is also advice from a video tutor and a team of experienced IELTS teachers. The IELTS course is interactive – you can share your experiences, tips and opinions with other learners. The online IELTS course is aimed at non-native English speakers at around intermediate level (approximately B1 on the CEFR) or above. Who is your online tutor? Alister Widdowson. Alister has been working in English language teaching for 20 years. He now focuses on developing and running online courses. What other things can I do to improve my IELTS score? You can do our free sample test. This is a complete test which will let you try all the different parts of the test and watch a video of a candidate doing the IELTS speaking test. If you want to get more information on IELTS and practise the test, then go to our page with other online sites with more free practice. Finally, if you need more help, why not do an IELTS preparation course with one of our experienced IELTS partners then choose your school here, or contact us for more information. Great IELTS course starting on October 2. Register now.